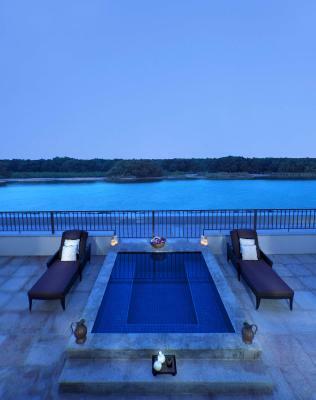 Lock in a great price for Anantara Eastern Mangroves Hotel & Spa – rated 8.7 by recent guests! 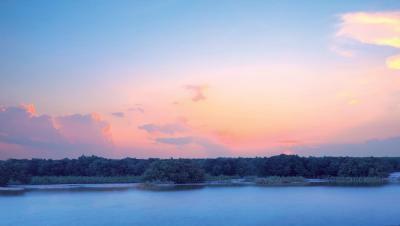 The lake , The Mangroves and the distant view of Abu Dhabi City. The beauty of Abu Dhabi , will experienced from the balcony. Staff was exptremly friendly. The bed is to die for, which is very comfortable. You will have issues gwtting out of bed in the morning. The gym is quite good. The Concierge (Sher) was the best. He made sure we had everything we needed and answered any questions we had. The reception desk was very helpful and courteous at Check in. The cleaning staff was awesome. they made animal shapes with the towels and did a great job with our room. We loved the bar on the roof. Daria and the staff were always welcoming and it was a beautiful view at night. It was peaceful and quiet. We ate the buffet for breakfast which was very good but, they had so much to choose from it made it hard to pick from :) We spend most of our free time sitting poolside for dinner and drinks. Lami was a fantastic host and made us feel very comfortable. The pool is very inviting and we enjoyed the warm days lounging. Mornings were spent on our balcony drinking our coffee...the grove side would be much prettier and quieter as all we heard was loud traffic on the City view side. Friendly & helpful staff. Peaceful & quite atmosphere. Excellent service, loved the pillow menu, yummy breakfast with great choice. Perfect for those looking for a relaxing retreat in an urban setting, balcony view from 5th floor was amazing and great place to chill with a coffee overlooking the eastern mangroves and city skyline. 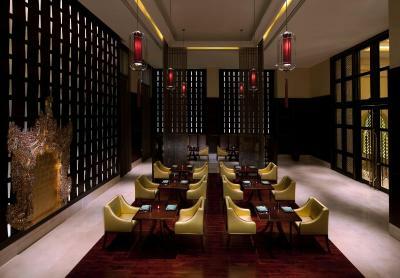 Kasara Club access, Location to nearby restaurants. 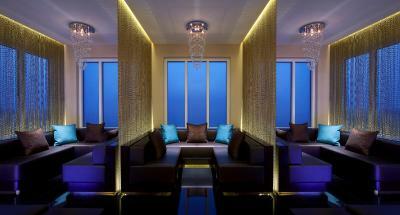 Mangrove / Corniche access, gym and spa - outstanding hotel from start to finish, friendly staff, clean, huge rooms. The property and the location is very nice, if you are looking for a stay outside city. 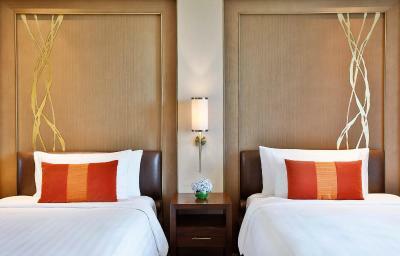 Room was big and spacious enough for small family of 2 Adults and a child. Breakfast had limited options to choose from and no Indian option. Staff was amazing, the view was beautiful and the mushroom sauce for the sirloin was divine. 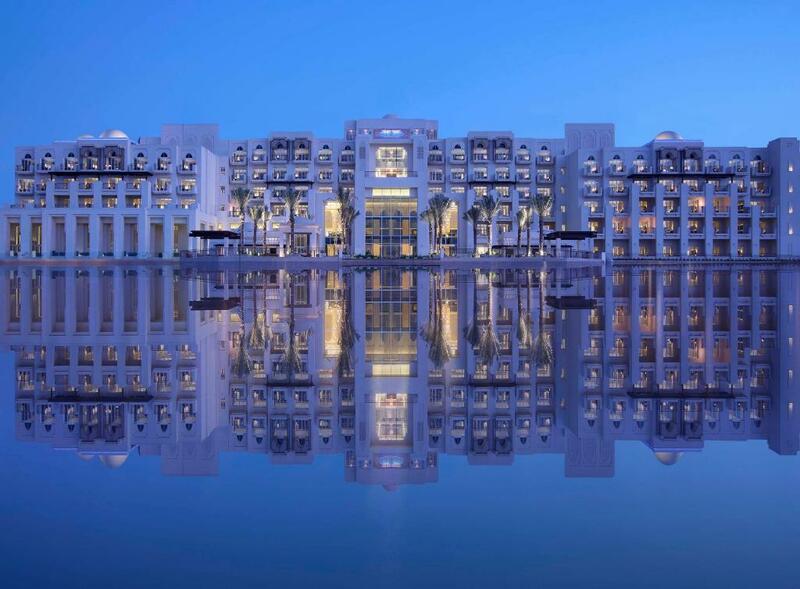 Anantara Eastern Mangroves Hotel & Spa This rating is a reflection of how the property compares to the industry standard when it comes to price, facilities and services available. It's based on a self-evaluation by the property. Use this rating to help choose your stay! 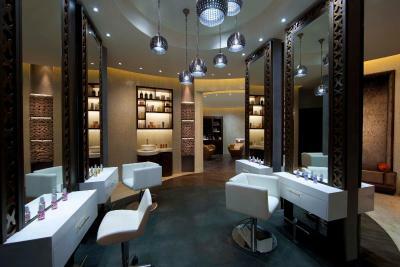 One of our best sellers in Abu Dhabi! 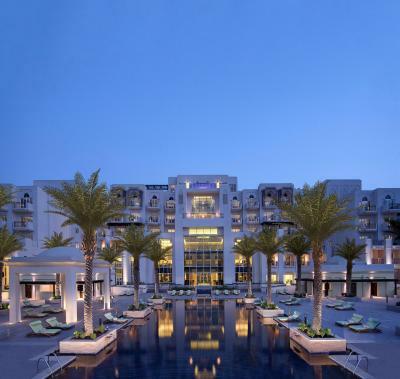 Located on Sheikh Zayed Street in Abu Dhabi, the Eastern Mangroves Hotel & Spa Abu Dhabi features an outdoor swimming pool with a terrace overlooking the mangroves. The hotel has a spa center and a gym, as well. 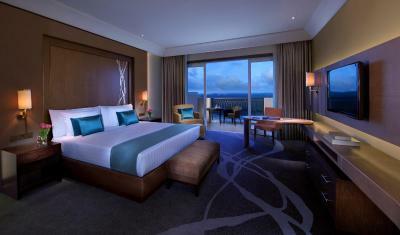 The spacious rooms have carpeted floors and feature balconies. 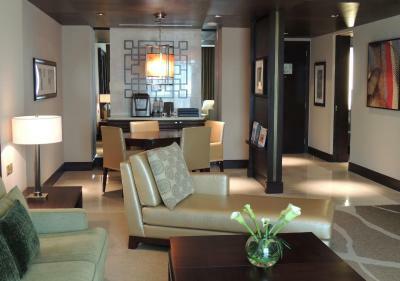 They include sofas with flat-screen TVs, tea/coffee-making facilities, and safes. 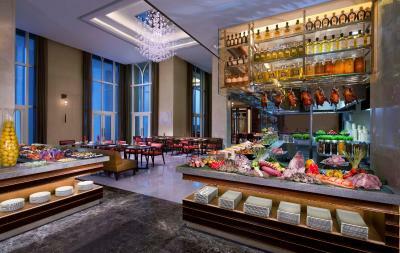 Guests can enjoy Thai cuisine at Pachaylen restaurant, or choose Ingredients restaurant for all-day international cuisine. 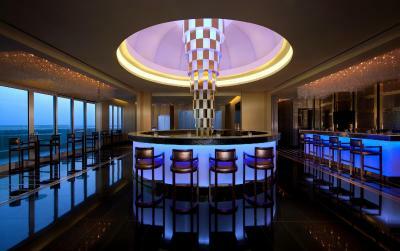 Guests can experience some nightlife in the rooftop lounge, which includes sofas and a view of the Abu Dhabi skyline. 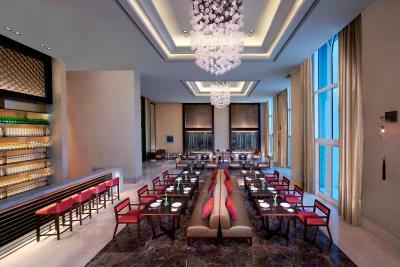 The Abu Dhabi National Exhibitions Company is less than 15 minutes away by car. 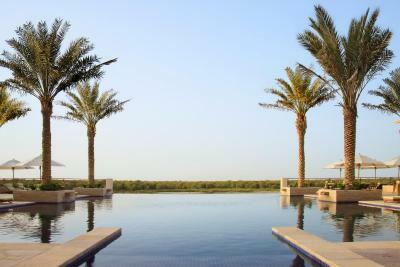 Abu Dhabi International Airport is 16 miles from the Eastern Mangroves Hotel & Spa Abu Dhabi. An airport shuttle can be provided by the hotel. 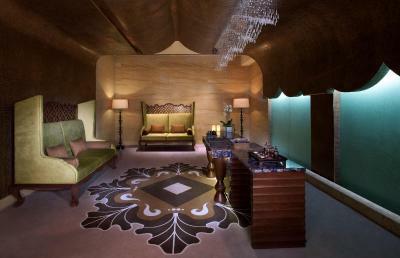 When would you like to stay at Anantara Eastern Mangroves Hotel & Spa? 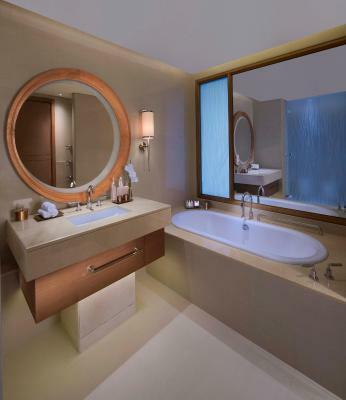 This room has an elegant design with a balcony that offers views of the city. The bathroom has a bathtub and a rain shower. 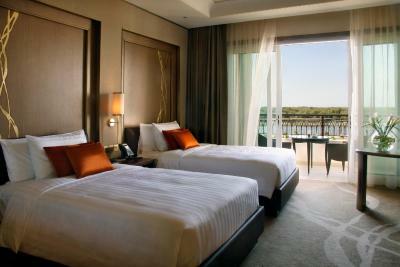 This room has a balcony with views of the Mangroves. The bathroom has a bathtub and a rain shower. 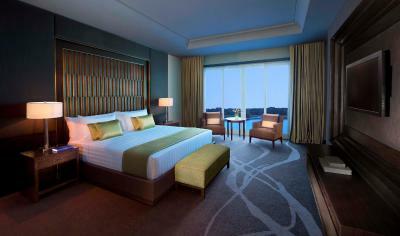 This room is located on the upper floors of the hotel. It includes a sofa, a flat-screen TV, and a mini-bar. 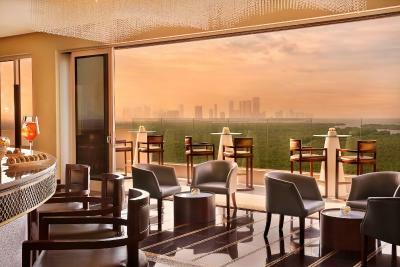 It offers views of the city of Abu Dhabi. 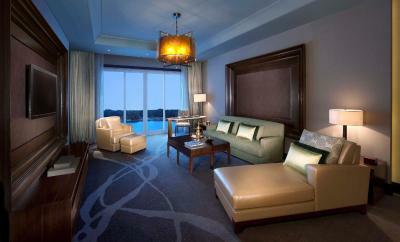 This room is on the upper floors of the hotel. It includes a sofa, flat-screen TV, and mini-bar. 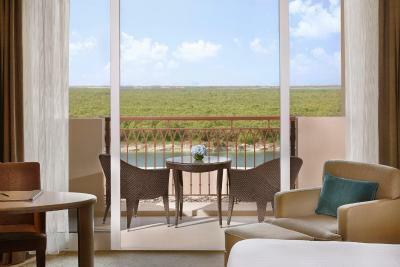 It includes a balcony with views of Eastern Mangroves. A newly renovated Business Class room featuring views of the Manchester and Cheshire skylines. 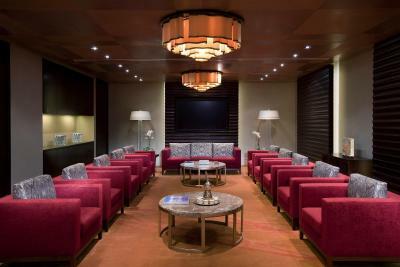 Additional amenities include complimentary in-house movies, bathrobe and slippers, daily newspaper and access to the hotel's new Business Class Lounge, which includes dining and light snacks throughout the day. Includes parking for 15 days. 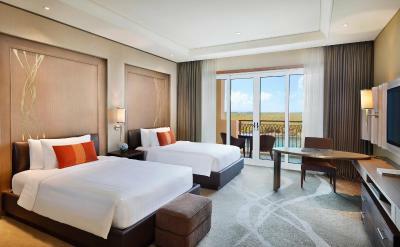 Featuring a balcony with tranquil views of the mangroves, this air-conditioned suite has a living area along with decadent furnishings. The palatial Royal Mangroves Residence features a living room and a private infinity pool where guests can enjoy a drink at the pool bar. 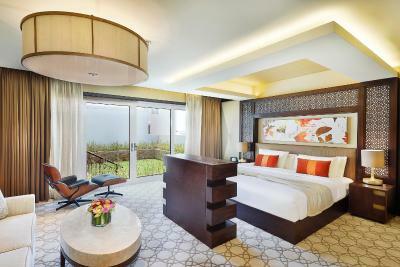 Guests can also enjoy star gazing in the suite’s rooftop garden. 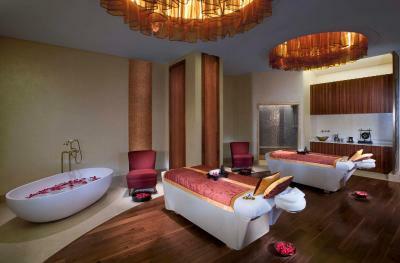 House Rules Anantara Eastern Mangroves Hotel & Spa takes special requests – add in the next step! 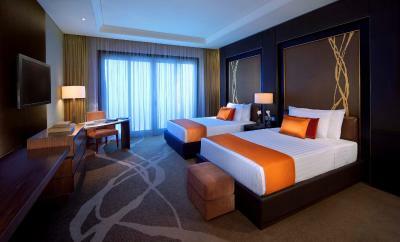 All children under 12 years are charged AED 420 per night for extra beds. 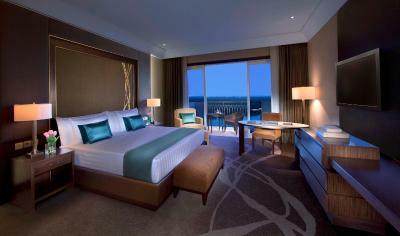 Any additional older children or adults are charged AED 420 per night for extra beds. 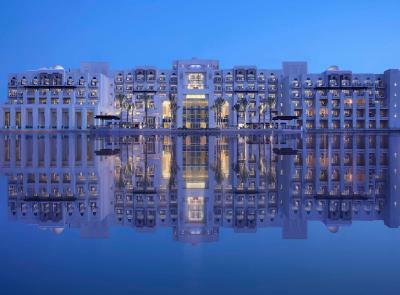 Anantara Eastern Mangroves Hotel &amp; Spa accepts these cards and reserves the right to temporarily hold an amount prior to arrival. 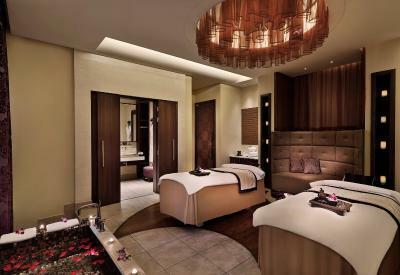 Anantara Eastern Mangroves Hotel & Spa accepts these cards and reserves the right to temporarily hold an amount prior to arrival. Please note, that there is an optional New Year’s Eve dinner on 31 December 2019, for all resort guests booked over this date. 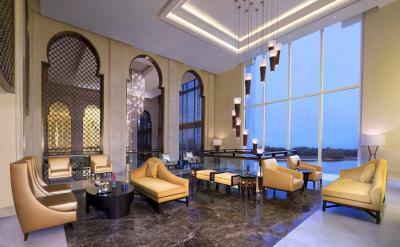 Priced at AED 425 per adult, children from 5 - 12 years old will be charged at AED 200 per child. Additionally, there is an optional Christmas Eve dinner at AED 320 per adult, children from 5 - 12 years old will be charged at AED 160 per child. Premium packages are available upon request. All prices are inclusive of applicable service charges, local fees and taxes. The Credit card used for payment should be presented at the check- in. Overall, we were underwhelmed by the property and the food (except for the Thai restaurant, which was phenomenal). They seemed to be generally understaffed. Our drinks (at multiple venues) were not up to par and the room (particularly given the cost) was not as expected. 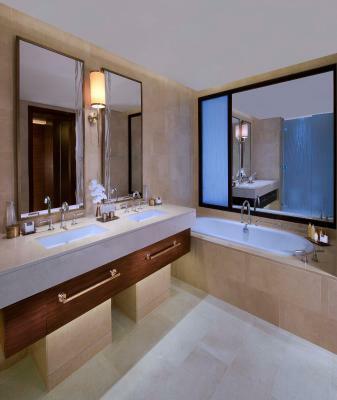 For a 5 star hotel it is the worst one I have visited and I am an experienced traveller (numerous business and personal trips for over 7 years). 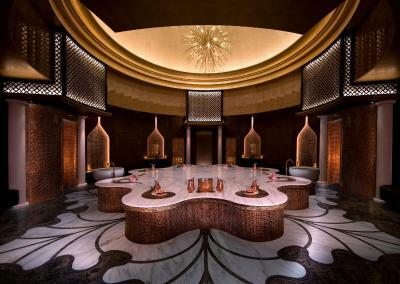 There is no spa (5 star hotel which doesn’t have a spa?! 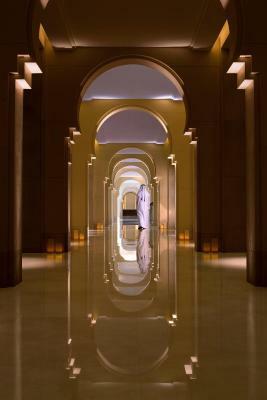 ), EVERYTHING is extra- they have sauna but you need to book a treatment to use it otherwise use the poke little steam room in the gym women’s changing room, they charge a separate room service charge of AED75 per night - for what I don’t know(!!) and the service is inept and inattentive. I had to order my morning coffee 3 times with 3 different waiters before I came and this was on both days I was there. I even had to go to reception on the first morning to ask where breakfast is as no one told us. They lost our luggage within minutes of arriving and when I asked reception to ask about our bags they told me to call concierge myself. This is not a 5 star hotel - don’t stay here. There are better places. The check in should be at 3 PM but they have delayed for more that 1 and half hr and i was with my family and kids. The swimming pool was very small. Breakfast buffet spread is not so good. Hope they will add fried rice, a lot more varieties on the the viand, dim sum and sushi. The pool area is quite small for the property. Since there is no beach area near the hotel, they should invest on a nice pool area. i requested for a private parking prior to visit but was not available when i checked in. I definitely liked the fact that they have given me a very nice room facing the mangroves, allowed me to check in early to prepare the surprise for my husband's bday and allowed me to checked out late. High end beautiful property with local Arabic flare. Friendly professional staff and service. 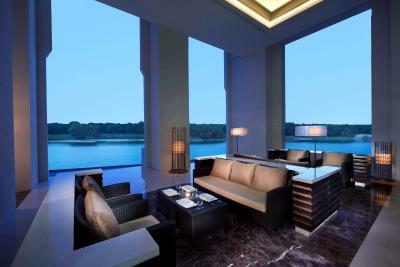 A very serene and calm relaxing atmosphere greeted us as we entered the hotel, and a lovely view of the mangroves with the infinity pool. Couldn’t wait to go outside and enjoy it. After checking in settling into our rooms we went outside and boom there it was, like stepping into a disco party. Loud club music blasting which you could not escape as long as you were outside. Put me off enough that I may not go back. Other than that all was well and lovely and would recommend the place as long as you don’t l mind loud noise by the pool. Check in was extremely slow and staff were not that professional, a dirty spoon in the room and the massage was less than expected from Anantara!! Electronics in the room, such as phones, tv and the speakers are outdated and should be replaced with newer tech. Great location, very quiet. Comfortable. The pool is fairly small for the size of the hotel - gets a bit busy and noisy. Location is wonderful - central, yet peaceful and quiet. There is a nice promenade walk next to the hotel and lots of activities available. 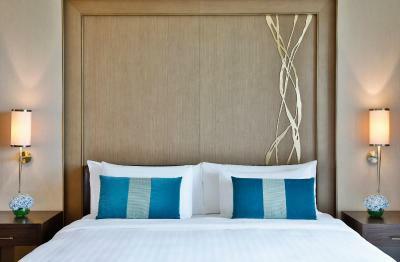 Rooms are comfortable and well appointed and service is excellent.